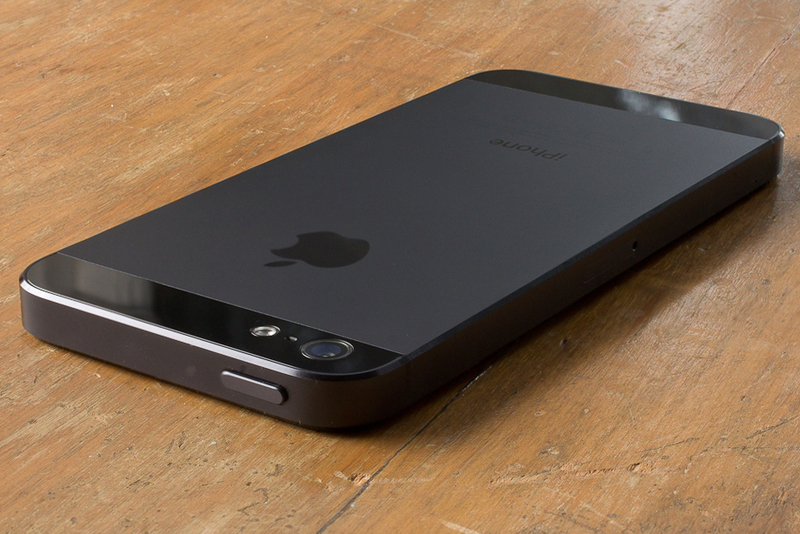 If you’re the brand new owner of a Verizon iPhone, you’ve got 30 days to opt-out of sharing information including anonymized location data as well as demographics like age, gender, sports teams, dining habits and more. The opt-out was pointed out by Bryan Clark on App.net and shared by Benjamin Brooks. Updated below with more information from Verizon. The opt-out options are only available for 30 days after you’ve fired up a new line and they’re located in the MyPrivacy section of Verizon’s website. There are three categories of opt-out, each of which covers the sharing of a different flavor of personal information. And they’re not just for iPhone owners, any smartphone purchaser is likely going to need to check out these privacy settings if they want to make sure they’re only sharing what they wish. I’m an iPhone owner, so could only confirm that it was there for me, but I don’t see why it wouldn’t be for other devices as well. The quantity, technical configuration, type, destination, location and amount of use of the telecommunications services you purchase. This information and related billing information is known as Customer Proprietary Network Information (CPNI). Verizon Wireless shares information among our affiliates and parent companies (including Vodafone) and their subsidiaries unless you advise us not to. But I don’t personally care about helping Verizon’s partners sell me better so that’s out. So this one collects even more stuff because it tracks your use of ‘Verizon services’ to collect info like whether you’re a sports fan, like to eat out, love pets, what age you are and more. Ugh. Using the postal address we have for you and certain consumer information such as your device type, language preference and demographic and interest categories provided to us by other companies (such as gender, age range, sports fan, frequent diner, or pet owner), we will determine whether you fit within an audience category that an advertiser is trying to reach. This means ads you see may be more relevant to you. Right, so I’m not sure why your postal address being used to determine the best advertising for you is ok if Verizon does it, and then provides that information to its partners, but yeah, also ugh. Basically, head over to the site, log in and opt out of all of these things. Yes, the info is being anonymized but it’s still your info and it only helps Verizon advertisers sell you stuff more convincingly, so it’s an easy choice in my opinion. Nothing to freak out about privacy wise, but well worth making an informed decision on. 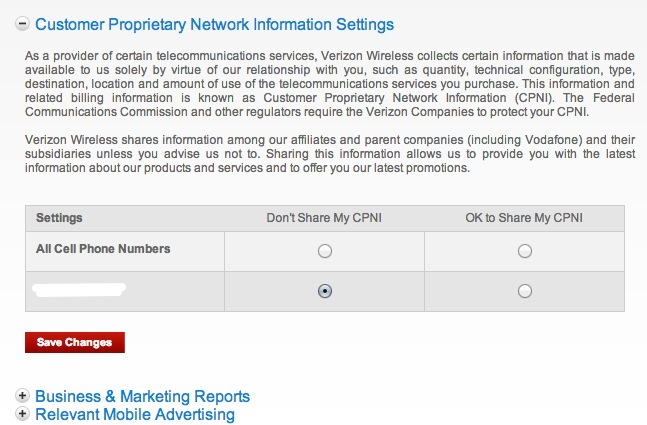 For AT&T customers, there is also a similar form for opting out of CPNI sharing, which is located here. Thanks Patrick! Update: Verizon reached out to us with some information on the mobile advertising and marketing reports sections, which have an initial opt-out period of 30 days, but can then still be changed at any time. You can see Verizon’s news release on its Precision Market Insights program here for more information. This program does not include CPNI, which is only shared with affiliated companies.